The international organization leading the development of OpenBIM standards, buildingSMART, has initiated a new Program to support OpenBIM training. 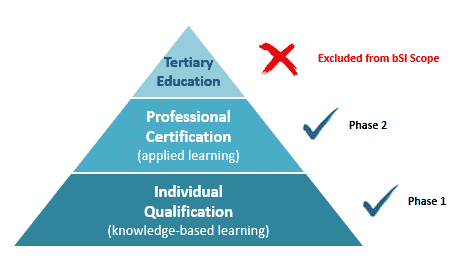 The Professional Certification program is an international endeavor that has been developed by chapters in Europe, Asia and the Americas and is expected to be adopted across the globe. The consensus in the use of standardized terminology and processes. To standardize and promote OpenBIM training content. To support and accredit training organizations. To testing and certifying individuals. Professional Certification Program coordinator Mark Baldwin adds, 'it is important to emphasize that buildingSMART will not be delivering training itself. The Program exists to support and accredit training organizations to deliver approved courses.' buildingSMART will also provide an online qualification exam for individuals who have attended approved courses. The Professional Certification Committee was working in Barcelona in April 2017, when we had the chance to talk with Baldwin, who explained to us what an individual certification is, what competencies does a BIM profile need nowadays and what is the team working on. "When an architect from Japan and an architect from Brazil meet each other, they somehow know what did the other one learned, what does he do, what does he know. Maybe some different methods but still the same profession. If someone comes to you and say 'hey, I work with BIM', what does exactly mean?" Sarah Merz, from the buildingSMART German Chapter and member of the Professional Certification Committee, talks about the importance of defining a common language. The Individual Qualification or knowledge-based learning (launched as Phase 1) introduces the basic concepts and principles of OpenBIM. This is a theory-based learning that does not include software training or hands-on practice. However, project examples and demonstrations are given to reinforce the core principles. The Individual Qualification series is comprised of eight modules, each of a one to three-day duration: Basic, Manager, Coordinator, Consultant, Contractor, Owner, Facility Manager and Manufacturer. The Basic module is the prerequisite for all further modules. It is anticipated that most participants will undertake the basic and one further discipline module, however, they are of course free to undertake additional modules as they so wish. The Professional Certification or applied learning (to be launched at Phase 2) addresses the application of OpenBIM principles in the project environment. It is a practice-driven, comprehensive training comprised of specific role based modules (eg. BIM Manager, BIM Coordinator, Information Manager). Each module will require 200+ hours of class learning in addition to live project work. Professional Qualification is in development and is expected to be launched in late 2018.
buildingSMART Professional Certification does not address tertiary level training, however, buildingSMART engages with and supports universities in developing their BIM curricula. Barcelona was the chosen city to ultimate the last details of the upcoming presentation of the buildingSMART International Professional Certification committee in the Summit that will take place in London (UK. ), from 30th of November until 2nd of December. 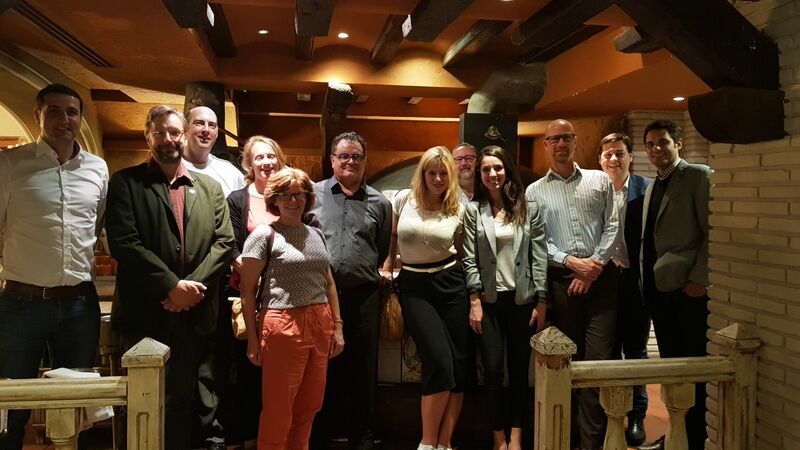 During their meeting in Barcelona, Zigurat, BIM Freelance and BIMCommunity had the opportunity to sponsor an official dinner.